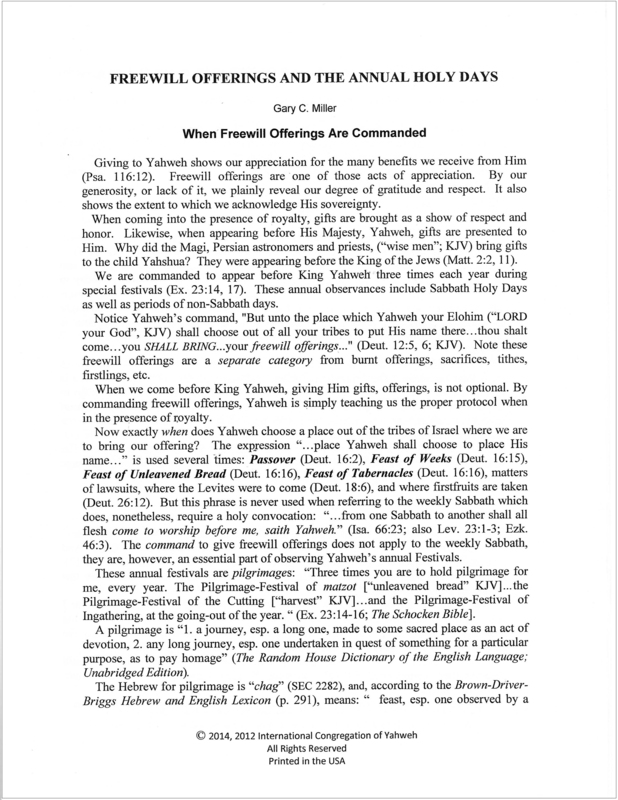 Freewill offerings are an essential part of keeping Yahweh’s annual Holy Days…even today as we will see. 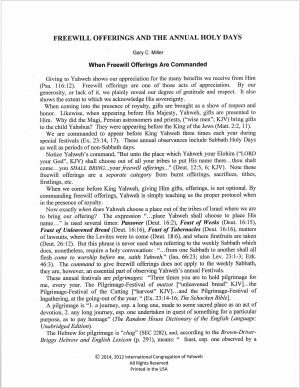 Notice Yahweh’s command, “But unto the place which Yahweh your Elohim shall choose…thou shalt come…you SHALL BRING…your freewill offerings…” This shows it is not optional, but that we shall, we must bring them to Yahweh. “Three times you are to hold pilgrimage for me, every year. Now that we know freewill offerings are required on the annual feasts, is this law still in force today? What exactly are freewill offerings? Are Freewill Offerings Required on the Weekly Sabbath? 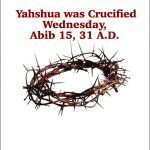 Yahshua was Crucified Wednesday, Abib 15, 31 A.D.